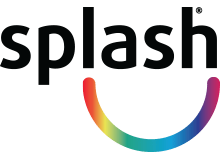 Splash Print is a locally owned and operated business that seeks to provide the highest quality printed materials to businesses in Manchester at the most competitive prices. Our job is to make sure each and every one of our clients is completely satisfied with the products we produce for them so that they can continue to thrive in an ever more competitive and challenging business environment. Our facilities are outfitted with all the latest in printing technology and our expert printers are highly trained, dedicated professionals who take pride in everything they do. When it comes to quality control there is no room for compromise in our process. We’re business owners ourselves and we understand that your company’s reputation is on the line every time someone looks at one of your printed materials. As such all of our focus is trained on making sure the booklets, brochures, business cards, business stationery, flyers and other printed materials you order from us enhance your company’s reputation rather than sully it.